Imaginary Cities burst onto the scene and captured our imaginations (an a Polaris nomination) with their stunning 2010 debut Temporary Resident. On May 28th the Winnipeg duo come back with their second full length Fall of Romance. On the new album, principals Marti Sarbit and Rusty Matyas, take a much more elaborate approach to the music. The songs are more layered and elegant than the material on their debut. As a result though, they are also less peppy and contain fewer of the marvelous hooks that made the first record so compelling. The album opens with the introductory "Lilt", and the track it flows into "All the Time". Piano dominates, giving the track a more sweeping, orchestral feel. "9 and 10" adds some Beatle-esque horns to the mix as well. The wafting melody on "Chasing the Sunset" is more in the range of the first record. The gorgeous vocal interplay on the title track will make you swoon for Sarbit. Matyas gets his turn on centre stage with the slight "A Way With Your Words". 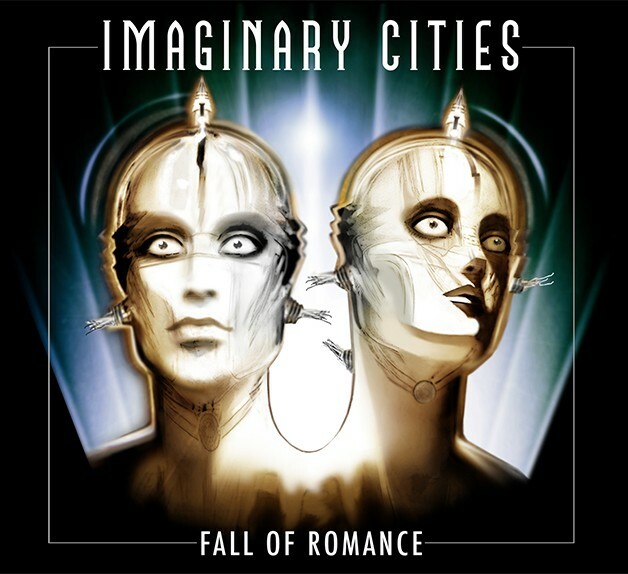 There's a darkness that lurks in many Imaginary Cities songs. It manifests most obviously on the slick-yet-dark "Silver Lining" and "Who's Watching You?". Fall of Romance has some solid tunes on it, however, it lacks the beginning-to-end magic that made Temporary Resident a near-masterpiece of a debut. Of course, we haven't heard the last from the pair, so we may get a gem like that again in the future. Imaginary Cities play the Drake in Toronto on May 28th. Best tracks: "Chasing the Sunset", "Fall of Romance"